The Yaralla Droughtmaster Stud operation is run by Ken and Kerry McKenzie on three properties Pearl Creek, Yaralla and Brumby. In 1995 Ken and Kerry McKenzie established the Yaralla Droughtmaster Stud. This stud was formerly the Coolarah Stud founded by Bruce McKenzie in 1962. The original bulls purchased for this stud were BLUE HAZE EVEREST (H) D3 and KONJULI AUGUST (H) D4 at the first Rockhampton Droughtmaster Sale now known as the Droughtmaster National Sale. 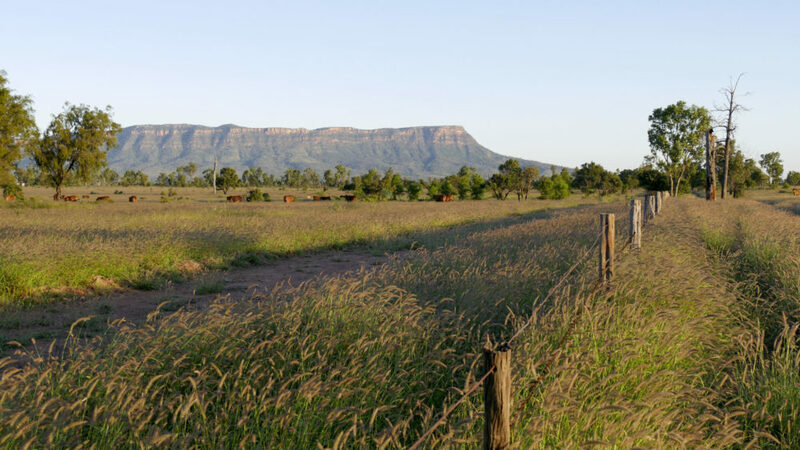 The Yaralla Stud operation runs on three properties Yaralla, Pearl Creek and Brumby. The McKenzie family have been breeding Droughtmaster cattle for 50 years and have found they are an excellent all-rounder breed. Ken and Kerry run 1600 Droughtmaster females in the 9720ha Duaringa property, ‘Pearl Creek’ that supports a mix of native blue grasses together with Buffel, Uracloa and Stylo legumes on Blue Gum, Box flats and Ironbark country. Steer calves are weaned at around nine months of age with an average weight of 280kg. 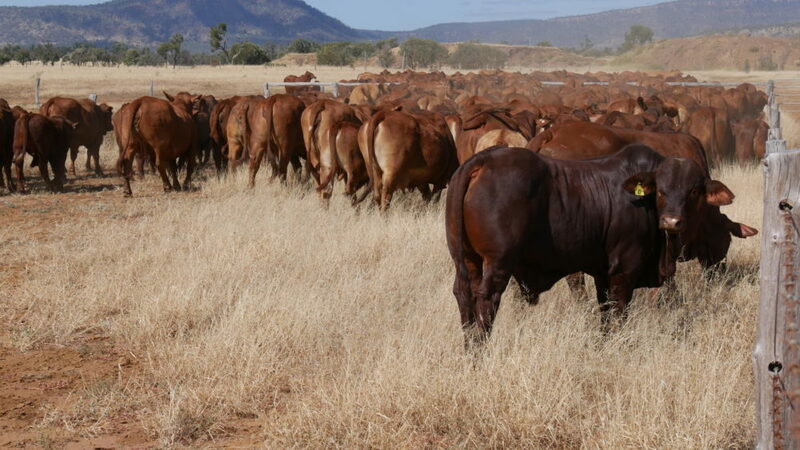 They then are backgrounded on Brigalow, Buffel grass pasture at our Blackwater address, ‘Yaralla’, before they are sold direct from the paddock at 400kg liveweight. The only steers that the operation withholds are those that are entered in the prime cattle competitions. Through showing, competition and exhibiting these award winning steers we have found an excellent tool and promotion for our annual draft of Droughtmaster bulls. Yaralla Droughtmaster stud offers bulls at both the annual National Droughtmaster Sale, Gracemere Saleyards in September and the annual Artesian Droughtmaster Bull Sale conducted at the Blackall yards in October.